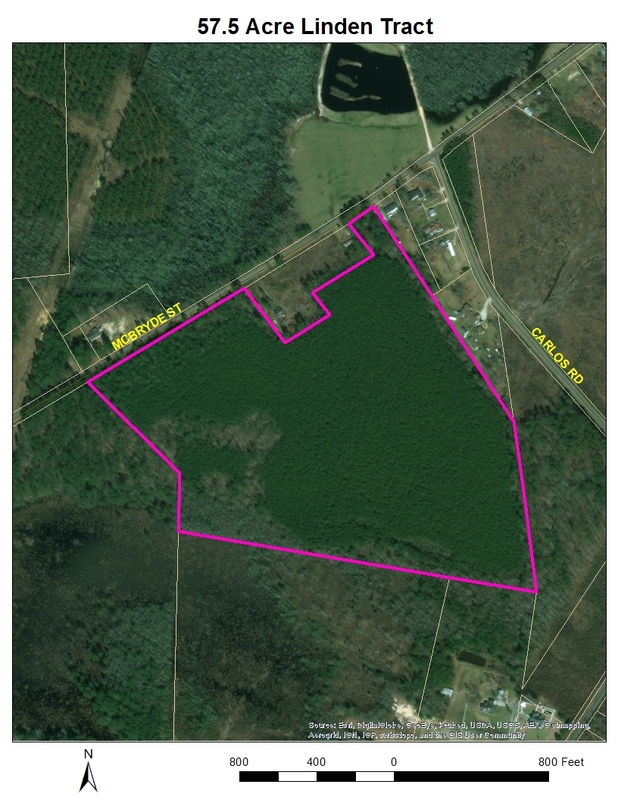 This 57.5 acre parcel has access via McBryde Rd. The wildgame on the property includes, deer, bear, and turkeys. The tract is 100% woodland with some lanes cut out for deer. Vehicular entrypoints to the land are indicated by the red markers.